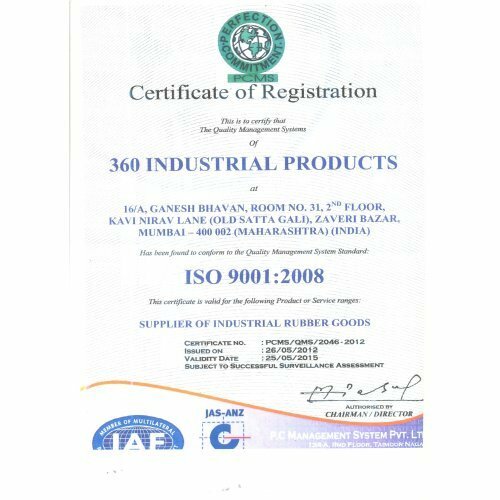 Established in the year 2011, we, “360 Industrial Products”, are one of the trusted ISO 9001:2008 certified organization engaged in manufacturing, distributor, wholesaler and supplying an excellent range of Rubber Molded Components and Industrial Products. The entire range of products is manufactured with or without reinforcing silicon, natural rubber, neoprene and other material. Owing to the durability, dimensional accuracy and abrasion resistance, our range of products is widely used in automobile, textile, petroleum refinery, aerospace, power generation, mining and other industries & sectors. We have also developed specialist raw material to fabricate various products with efficiency. Our organization works with the aim of serving high quality products to the clients by using latest technology & equipment. We have appointed a team of qualified & proficient professionals, which understands the clients’ needs an offer the products accordingly. They put in their best efforts to attain the organizational objectives within the committed time frame. Besides, our infrastructure plays a vital role in the growth and development of our infrastructure. It is spread across vast geographical area. We have been able to serve some of the renowned names of the industry such as Crown Rubber Works Private Limited, Mumbai, Maharashtra, Winer Rubber Work , Kolkata, West Bengal and others. ‘Mr. Azharuddin Ali Sheikh' is the root of our success and growth in this highly competitive market. With his excellent motivational skills and rich industry experience, he has been able to efficiently guide all the people associated with us. We are one of the eminent ISO 9001:2008 certified organizations engaged in manufacturing and supplying an excellent range of Rubber Molded Components and Industrial Products. These products are manufactured using high quality raw material like rubber, silicon and others procured from some of the trusted vendors of the industry. Moreover, we employ latest machines and technology for carrying out fabrication & other related processes. Used in various industries & sectors, these products are widely admired for their dimensional accuracy, durable standards, abrasion resistance and perfect design. Customised products can also be availed from us that are designed as per the specifications detailed by the clients. We have a team of qualified & diligent professionals, which works hard to offer a supreme quality range of Rubber Molded Components and Industrial Products to the clients. 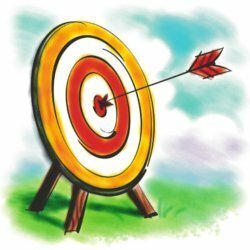 These professionals have perfect knowledge about their particular domains and clients’ requirements. They make sure to offer the products that can satisfy the exact demands of the customers in the most efficient manner. Moreover, they fulfill the industrial goals and objectives by working in close coordination with each other. We organize training sessions at regular intervals to enhance the skills of our professionals. Our organization is engaged in offering a wide range of supreme quality Rubber Molded Components and Industrial Products to meet the demands of the clients in an efficient manner. We work hard to deliver the ordered premium quality products at the clients’ premises within the stipulated time frame. Moreover, we adhere to client-centric & ethical policies in all our business activities.